You spoke and we listened! Four days ago we proposed a question on Instagram, asking for recipe requests for our weekly Friday Live show. This week marks our 23rd episode, and we thought it would be fun to see what our audience wanted to watch us make! Suggestions came in from literally around the world, and one idea in particular caught our attention. Over five thousand miles away, across the Atlantic Ocean in the city of Edinburgh, Scotland lives a friend of ours named Ryan-Andrew Brown. In addition to attending medical school and caring for patients in hospitals, somehow he also finds time to post original recipes on his beautifully-photographed cooking blog. When he proposed that we make something distinctly American—like a cobbler—we immediately knew what we had to do. This cozy cobbler will comfort your cockles. 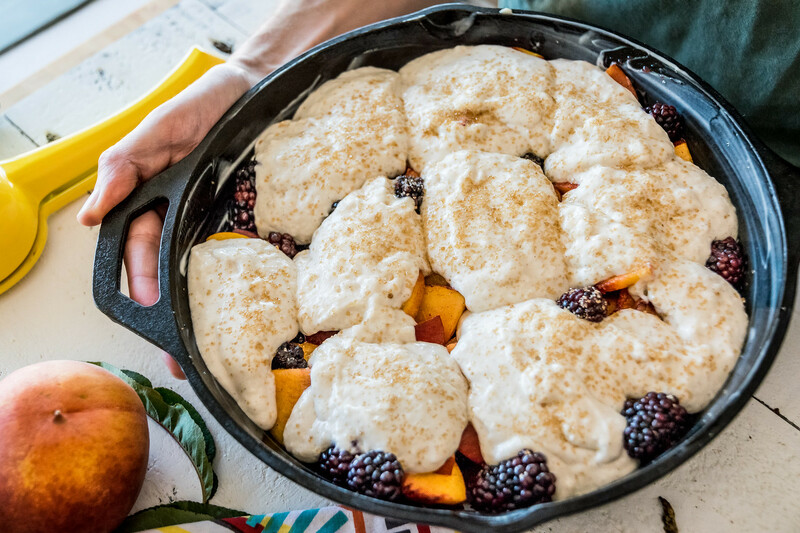 We couldn’t help but sneak in one more peach recipe before Fall rolls around, and this rustic dessert is going to roll you right into the ‘ber months, smoother than a cloud. 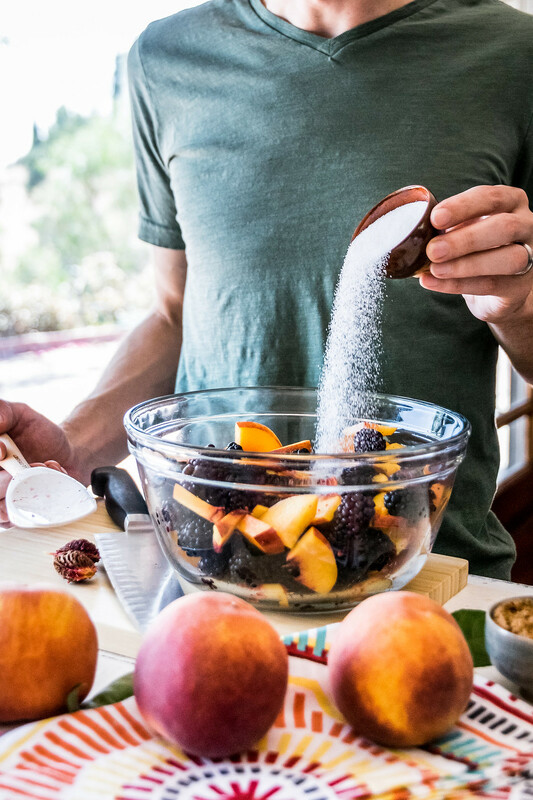 Made with plump blackberries, fresh peaches, a sweet vanilla bean, and a splash of lemon juice, this recipe uses both brown and white sugar for extra flavor. 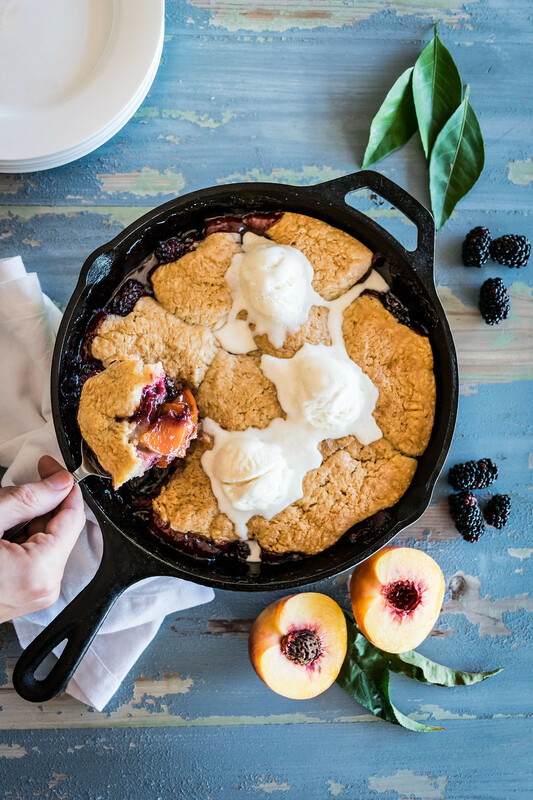 Topped with warm and tender ginger-spice biscuits and a scoop of vanilla ice cream—of course—this dreamy end-of-summer treat with hints of cinnamon is true heaven in a skillet. The wonderful thing about cobblers is they can be made with any fruit that’s in season. 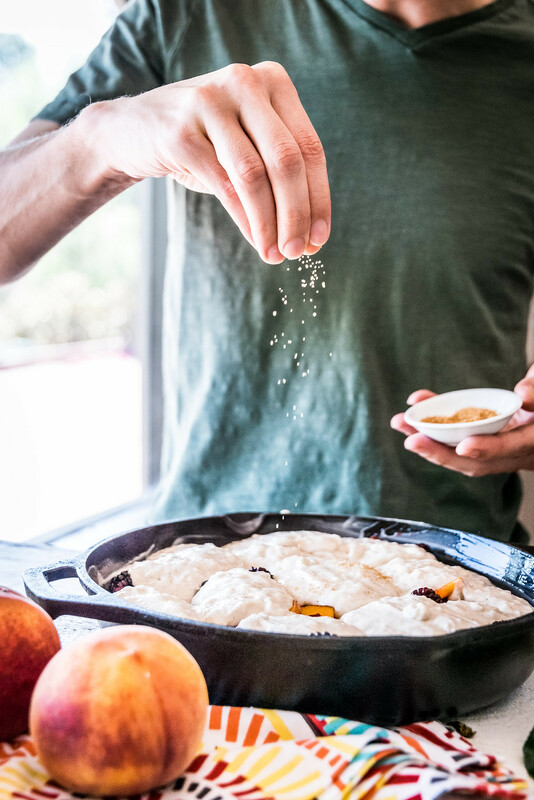 You simply mix the fruit in a bowl, toss it with a spoonful of sugar, vanilla, and lemon juice, then spread it in a skillet. In the same bowl—hooray for fewer dishes!—you stir together a simple batter, spoon it over the fruit, then bake it in the oven and that’s it! We’ll be showing you how easy it is live on our Instagram show today at 12pm PST. Join us as we welcome the first of September with an unforgettable classic, one of America’s oldest desserts. 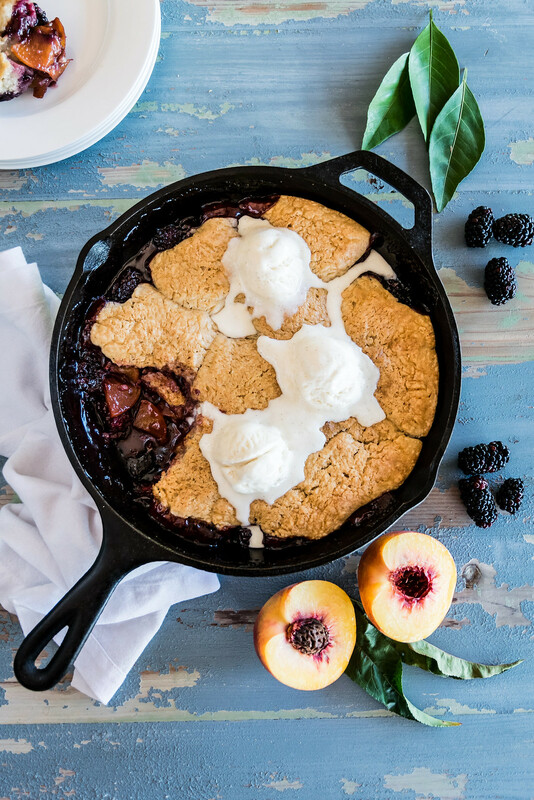 We are excited to see you and—let’s be honest here—make this cobbler once again! See you at noon! PS: We have been posting past episodes of Friday Live on our YouTube page, so subscribe there so you don’t miss any new video posts! Preheat the oven to 375°F/191°C. 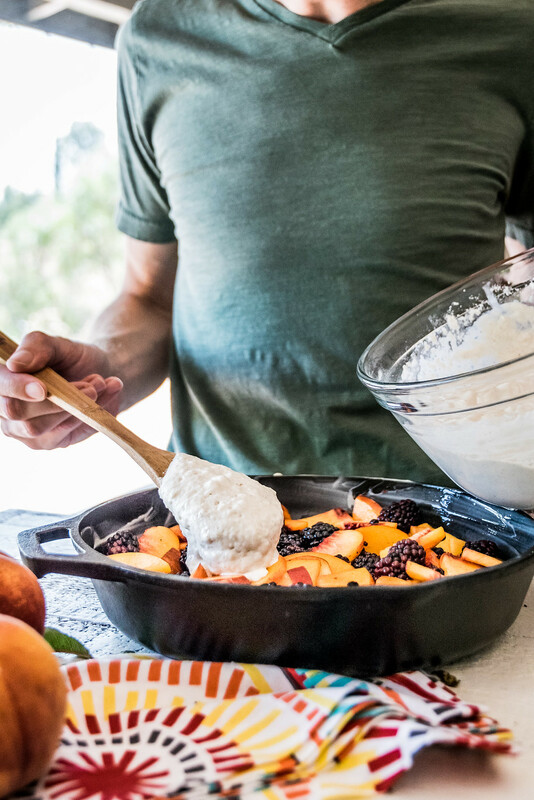 Grease a 10-inch skillet, pie plate, or similarly-sized baking dish with 1 tablespoon of vegan butter, and set aside. 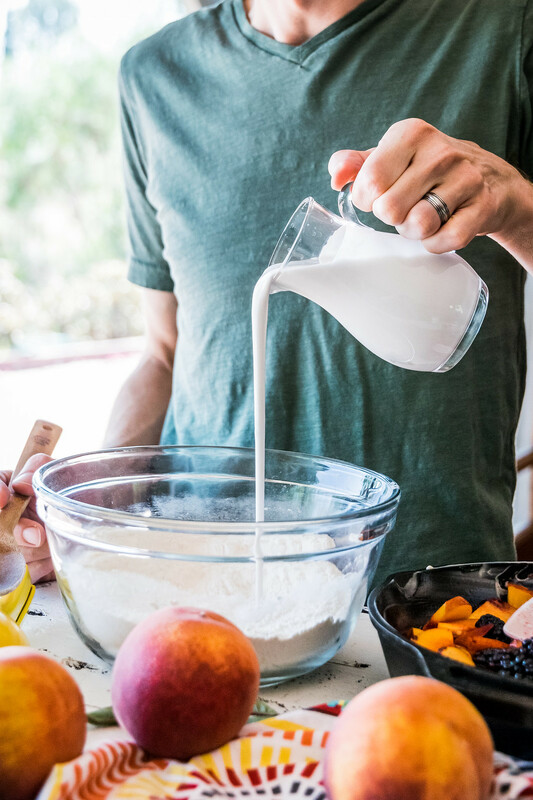 Wipe out the mixing bowl until dry, then add the flour, sugar, baking powder, salt, ginger, and cinnamon and whisk to combine. Add the coconut cream and stir until evenly blended. 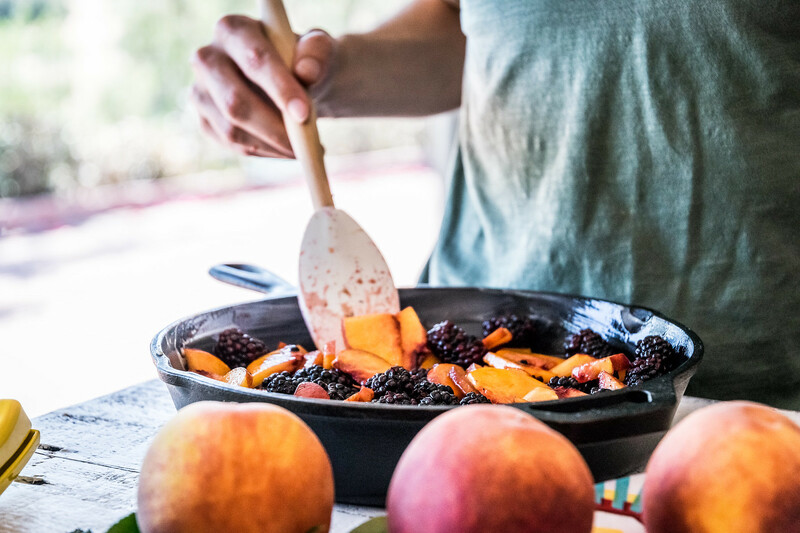 Use a spoon to dollop the batter over the fruit, leaving some spaces for fruit to remain visible. Sprinkle with turbinado sugar and bake until bubbly and golden brown on top, 45 to 55 minutes. Serve hot, with scoops of vanilla ice cream if desired, and enjoy! 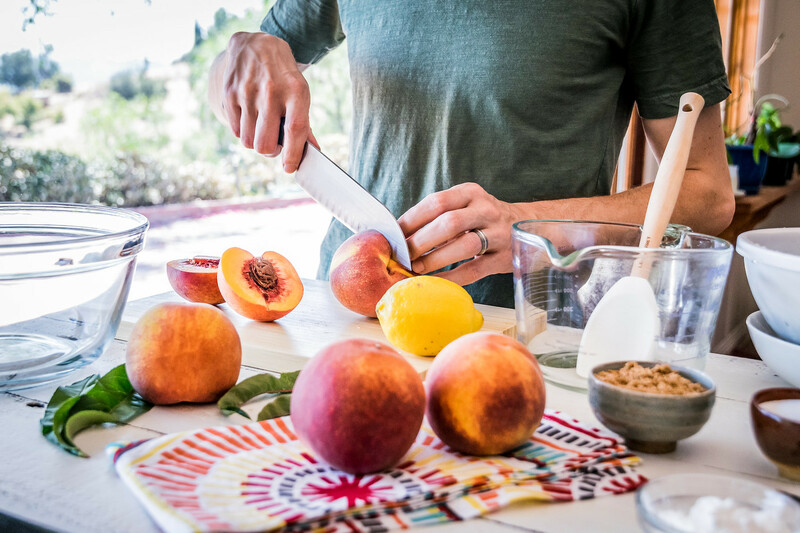 — Taste the fruit before adding the sugar, and use less if your fruit is very sweet and ripe. — To keep the recipe vegan, be sure to serve it with a non-dairy ice cream. 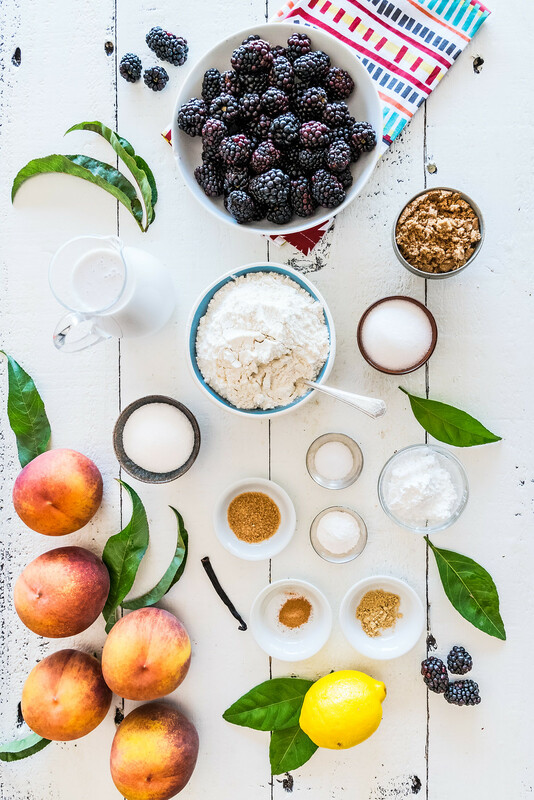 — To make the cobbler gluten-free, use a gluten-free flour blend in place of all-purpose flour. — Canned coconut cream is unsweetened, and thicker than canned coconut milk. It is available in grocery stores and online. It is different from “cream of coconut” which is a sweetened product for use in cocktails. And omg this cobbler! You would LOVE it!! So addictive! 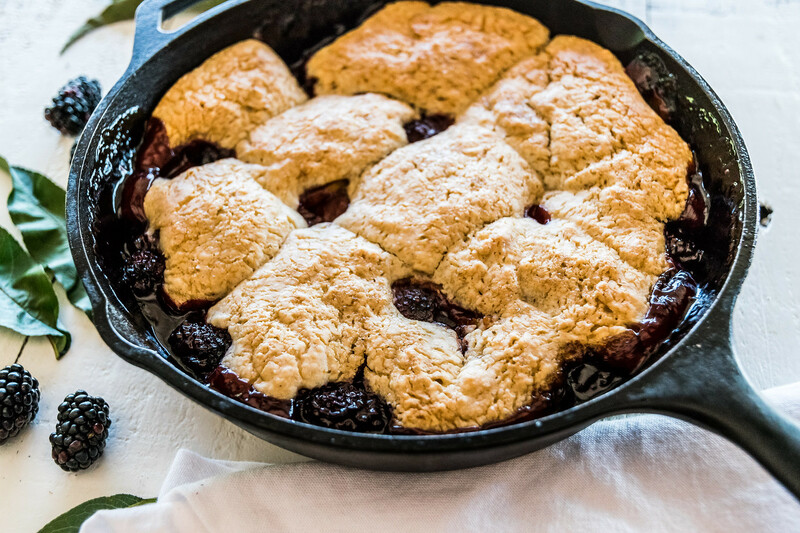 there’s nothing more summery than a good cobbler – this is such a beauty! Let me go ahead and delay my diet another couple of days….this looks too good to not make and eat now! haha well it *is* made with fresh fruit… so it’s practically diet food! 😉 Thanks so much Tim!